Happy Pi Day! « Adafruit Industries – Makers, hackers, artists, designers and engineers! It’s 3/14! Happy Pi Day! Larry Shaw created Pi Day in 1989. The holiday was celebrated at the San Francisco Exploratorium, where Shaw worked as a physicist, with staff and public marching around one of its circular spaces, then consuming fruit pies. The Exploratorium continues to hold Pi Day celebrations. There are many ways of celebrating Pi Day. Some of them include eating pie (pi and pie being homophones) and discussing the relevance of π. The Massachusetts Institute of Technology often mails its application decision letters to prospective students for delivery on Pi Day. It’s also Albert Einstein’s birthday! Down in Princeton, they marked the event with a weekend-long celebration of math and science. 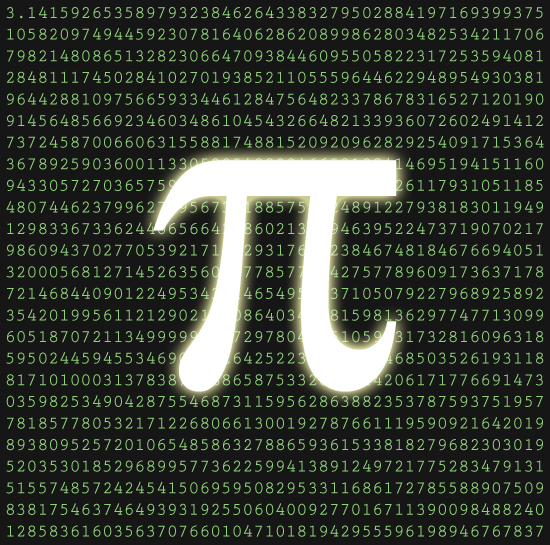 Will the really big Pi Day celebration be in 2015 or 2016? I’m personally in favor of truncating.